Approximately 25 million people in the United States have limited English proficiency (LEP), and this makes this population more vulnerable to health care disparities. These people are more likely to experience patient safety risks associated with poor communication; they experience longer stays at hospitals, more infections, falls, surgical delays and even death3. Today, we have the legislative tools to prevent these disparities, but more work is necessary to translate the current regulation into actionable goals. The creation of Culturally and Linguistically Appropriate Standards (CLAS) has been a significant step in this direction. There are at least two policies at the federal level that protect LEP individuals. Title VI of the Civil Rights Act prohibits discrimination on the basis of race, color, and national origin in programs and activities receiving federal financial assistance. Also, Executive Order 13166 of 2000 “requires Federal agencies to examine the services they provide, identify any need for services to those with limited English proficiency, and develop and implement a system to provide those services so LEP persons can have meaningful access to them”4. With these policies in place, providing equal access to health care and improving health care outcomes is a two-pronged approach. On the one hand, LEP individuals and society as a whole need to understand that LEP people have a right to culturally and linguistically appropriate services. On the other hand, organizations, especially those that receive federal funding, must implement meaningful services for this population. Hence in 2000, The Office of Minority Health (OMH) issued the first Culturally and Linguistically Appropriate Services (CLAS), “which provided a framework for all health care organizations”5. What are the CLAS standards? The main purpose of these standards is to “advance health equity, improve quality, and help eliminate health care disparities by establishing a blueprint for health and health care organizations”6. These organizations include government health care systems and not-for-profit health care systems. The blueprint includes a list of 15 norms intended to be used as an implementation guide for health care providers and hospital administrators. Why are CLAS Standards relevant? Within the CLAS standards, there is a set of norms dedicated to “communication and language assistance,”6 which involves both Language Access Services (LAS) providers and Health Care Interpreters. By definition, health care interpreters bridge the gap between providers and patients before, during, and after the health care encounter. It is the responsibility of the health care interpreter to serve as a conduit of effective communication and to facilitate the interaction, thus preventing patient safety issues rooted in poor communication. In turn, LAS providers are responsible for offering language assistance for LEP individuals; informing all individuals of the existence of such language assistance; ensuring the competency of the individuals providing the interpretation services; and providing easy-to-understand print and multimedia materials. Both health care interpreters and providers of Language Access Services work together to offer equal access to health care. The successful implementation of the CLAS standards also represents a dramatic reduction in health care expenditures. Costs for serving LEP patients are higher due to cultural and linguistic barriers, so addressing inefficiencies rooted in poor communication not only improves health care outcomes for patients, it also saves money for institutions7, 8, 9. Although adherence to CLAS is still voluntary, many organizations have committed to implementing some or all of the fifteen standards. Ideally, these standards will become second nature to any organization, but in order to accomplish that goal, interpreters and language service providers need to raise awareness and help educate health care providers about the economic and social benefits of the CLAS standards. Doing good by the LEP community will certainly translate into health care institutions doing well. 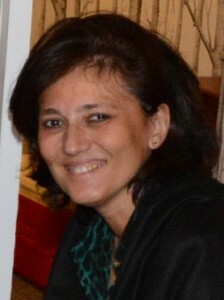 Cristina McDowell has been a translator and interpreter for 17 years. She is certified as a health care interpreter (CHITM) and she holds a degree in translation from English and German > Spanish from the Universidad Autónoma de Barcelona. She also has a degree in Marketing Management. Cristina is currently working at hospitals in the city of Philadelphia, where she has mentored numerous interpreters. 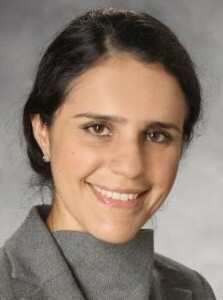 Prior to this, she taught Spanish for six years at the Wharton Business School through Inlingua. Carol Velandia M.B.A, C.H.I. P.M.P. is a healthcare and judiciary interpreter and also a Social Work student. In her dual role as an interpreter and as social worker in training, she works with culturally diverse populations, especially the limited English proficient (LEP) population. Her professional goal is to find avenues to bring about adequate Language Access Services and promote the Cultural and Linguistically Appropriate Standards (CLAS) and thus facilitate equal access to justice, healthcare and education to individuals with LEP. As the Administrator of the Interpreters Division at ATA she has advocated to raise the standards for interpreters of all tracks of the profession. She was an expert panelist at the Department of Homeland Security in 2014 on the topic of Language Access where she provided a definition and a profile of the professional interpreter. Simultaneously, she promoted ATA’s position paper on this topic, a team effort. In her role as a healthcare interpreter at Johns Hopkins, she created and directed the video: “Saving Lives in Many Languages”. The video was awarded with the first prize in the Patient Safety National Summit held at Johns Hopkins Institutions in 2013. The video was later endorsed by the institution on their “The Promise of Medicine” campaign. She is also the recipient of the President’s Fellowship on Cultural Competency at the University of Maryland and is working on a white paper on this topic.